A middle school student is very excited after getting his poster autographed. I had the privilege to kick off Stanton Middle School’s PBIS assembly on Monday January 8th 2018. What an awesome group of students!!! The 5th-8th graders at Stanton were very excited to see the show and hear the message. I spoke about perseverance, kindness, resilience, and being “Someone’s Batman.” All too often middle school students think being popular is much more important than doing the right thing. They can easily lose sight of the big picture and start following the crowd instead of standing up, doing the right thing, and being a hero. 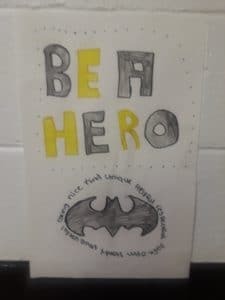 Students can be a hero to others by doing something small and simple. When I was in middle school another student changed the course of my life by including me into his group of friends. 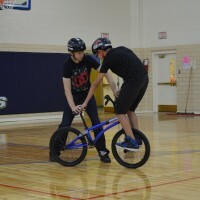 Those friends just happened to be BMX riders, and I would later go on to become a BMX National Champion. If that student, Glenn, wouldn’t have said “You can always ride with me,” who knows where I’d be today. My life would have been completely different. 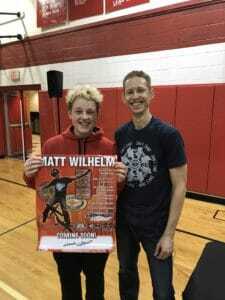 Middle School students created posters after Matt Wilhelm’s school assembly. 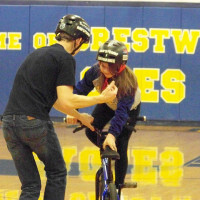 Middle school students can be heroes and make a difference. You don’t need a cape or superpowers to be a hero. Kind words can be just as powerful as a superpower if used properly. It doesn’t matter how strong you are, how much money you have, how popular you are… anyone can be a hero. It just takes some simple words of kindness and the courage to say them. Students even made their own posters after the show with a recap of my message. I always love to hear what the students take away from my show and program. The teachers and staff also loved the program. 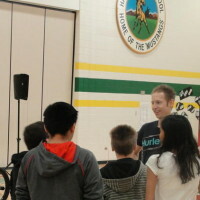 Many of the teachers came up after the show talking about how the message was even better than the tricks. 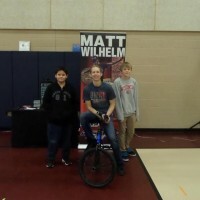 Matt is such an amazing person and presenter! Our 5th-8th grade students were excited and engaged for the entire hour. 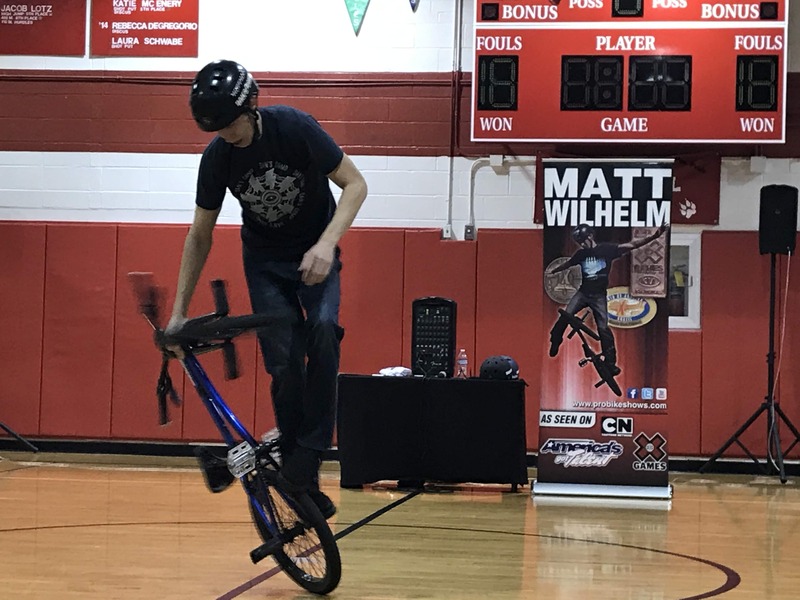 Matt not only presented his awesome BMX tricks, but shared his story of being kind and never giving up. We will definitely have him back again! Matt's message was spot on. 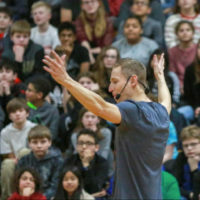 He instantly connected with our students. 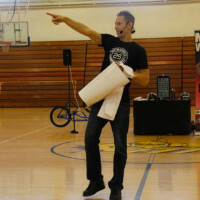 I highly recommend Matt to all middle schools looking for a fun assembly with a great message!! 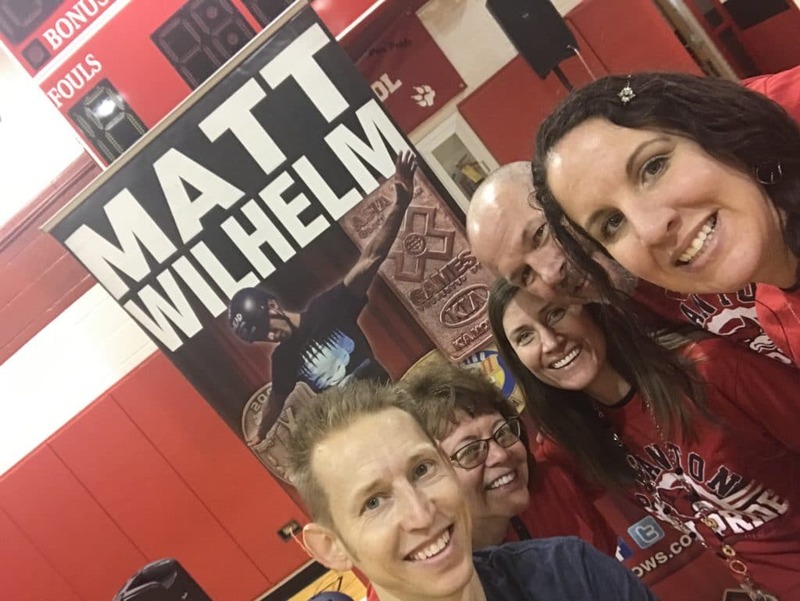 Teachers and principals wanting a selfie after Matt’s school assembly program. A big thanks to the students and staff at Stanton Middle School for the opportunity to kick off 2018 and share my message.